Considering the rebound in pollution over the autumn and winter months, how to effectively "differentiate" management strategies and prevent polluters from reverting back to old practices is a major challenge facing key regions and industries, one that will influence the success or failure of the battle for blue skies. This report mainly focuses on the Air Quality Transparency Index (AQTI) assessment of 120 cities nationwide. The results indicate that the rate at which cities lack PM10 data and data on other air quality indicators is relatively high, and that data from municipal- and county-level monitoring stations is not disclosed in some key areas for pollution control. The "blank space" where monitoring stations are not publishing their data is not conducive to effectively reducing emissions. IPE looked at all the progress that China has made since 2014 in terms of early warning smog alerts and the identification of pollution sources and key emissions reductions. 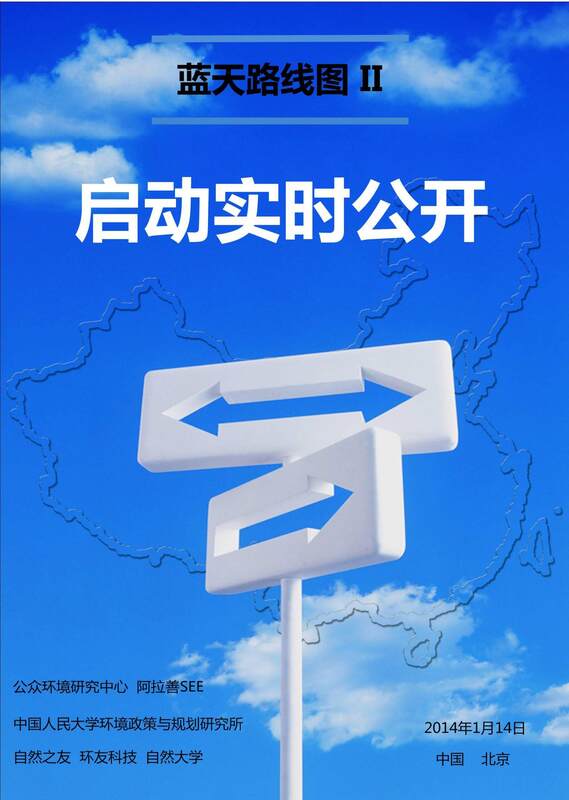 Policy recommendations have also been put forward around the scope of monitoring, improved air quality forecasting capabilities, expanded real-time disclosure of online monitoring, and the Shandong model of establishing an environmental protection micro-reporting system at four administrative levels. On January 14, 2014, IPE collaborated with five other organizations to jointly release the Blue Sky Roadmap – Atmospheric Pollution Investigation Phase II Report. The report finds that based on the real time disclosure of on-line monitoring data, a group of major emitters, including thermal power plants and steel factories, are seriously exceeding pollution discharge limits. In 2011, the public showed concern over the hazy smog spanning large areas of China for long periods of time. The Chinese government responded to public requests for information transparency by revising air quality standards; a milestone for the development of cities' air quality information disclosure. To help the public understands trends and scope of the change and to raise the level of air quality information disclosure, IPE released a second Air Quality Transparency Index (AQTI) Assessment. A pilot study on the geographical positioning of emissions pollution sources in China. This report explains the investigation of possible methods used to identify pollution sources and the benefits this will have for communities and the environment. 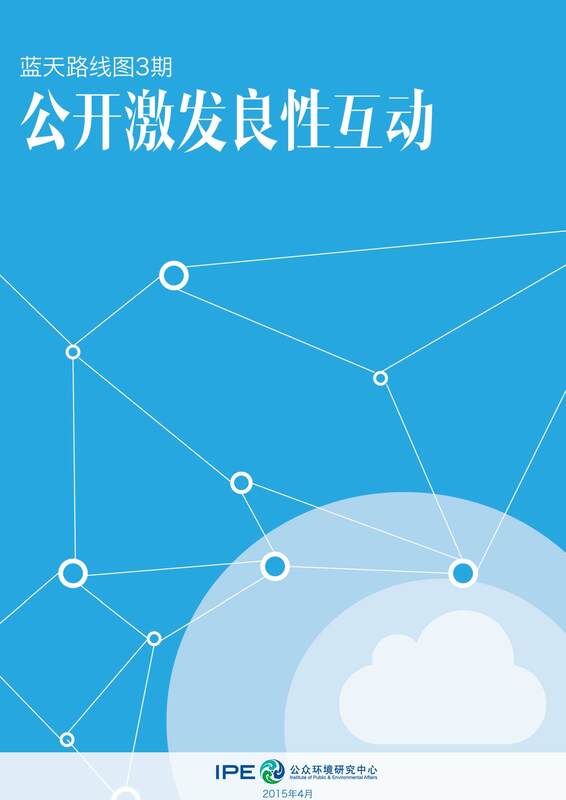 Air Quality Transparency Index (AQTI) is an evaluation of the 2010 annual air quality information disclosure situations for 20 Chinese cities and 10 International cities based on how systematic, prompt, complete and user-friendly they were.